I n the past three decades, ERP has gone from being an innovation to being an ubiquitous utility for all major organizations. Yet while the core concept has remained fairly unchanged, there is considerable churn at the edges. The business world has been buffeted by many successive changes in context such as mobility, social media, Business Intelligence and now the Internet of Things, and all of these impact the expectations from ERPs. What should be integrated and how, what should be from the ERP vendor and what should be best-of-breed is a continual question. The concept of the ERP is moving from that of regimented automation to that of an agile, responsive framework that responds to the changing business context. Nagarro's process re-engineering and consulting team not only formulates the right strategy for you, but also ensures zero-disruption implementation of the processes. Our partnership with the likes of SAP, Microsoft, Infor and Salesforce empowers us to seamlessly integrate all your businesses, arming your decision making with the right "context". Nagarro is an SAP Application Development Partner. Our SAP services cover all current SAP products, with special focus on SAP ERP (SD, MM, PP, PS, FI, CO), SAP CRM, SAP BI and HANA, SAP NetWeaver (SAP XI and SAP Portal included)and SAP Solution Manager. Our strengths lie in process consulting on the design and technical integration of business processes as well as our broad technology and integration know-how. This puts us into a position to unite the different worlds (Java EE, .NET, iOS, Android, Legacy, social media, SAP Netweaver). 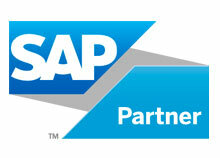 We cooperate with SAP AG in various technological fields, e.g. integrated use of RFID with Supply Chain and Asset Management as well as with Composite Applications. To know more about our SAP offering, download our brochures on SAP services and SAP BI and HANA. Nagarro is a member of the Infor Partner Network, providing functional and technical consulting as well as implementation and integration services for Infor M3 and Infor ION. 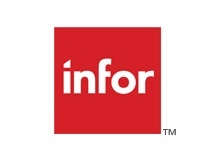 To know more about our Infor offering, download this brochure. Formerly known as OpenERP, Odoo is an open source comprehensive suite of business applications including Sales, CRM, Project management, Warehouse management, Manufacturing, Accounting and Human Resources. 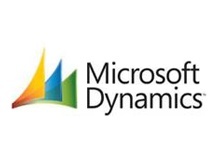 It is used by 2 million users worldwide to manage companies of all sizes. The main Odoo components are the server, 260 core modules (also called official modules) and around 4000 community modules. To know more about our Odoo offering, download this brochure.